One British WW2 15 cwt truck in 20mm or 1:76 scale. One British WW2 Ordnance QF 2 pdr anti-tank gun in 20mm or 1:76 scale. One British WW2 2 pdr portee on Morris truck in 20mm or 1:76 scale. One British WW2 3 ton CMT truck in 20mm or 1:76 scale. One British WW2 Ordnance QF 6 pdr anti-tank gun in 20mm or 1:76 scale. 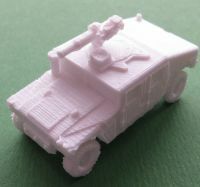 One British 6 pdr portee mounted on a Bedford QL truck in 20mm or 1:76 scale. 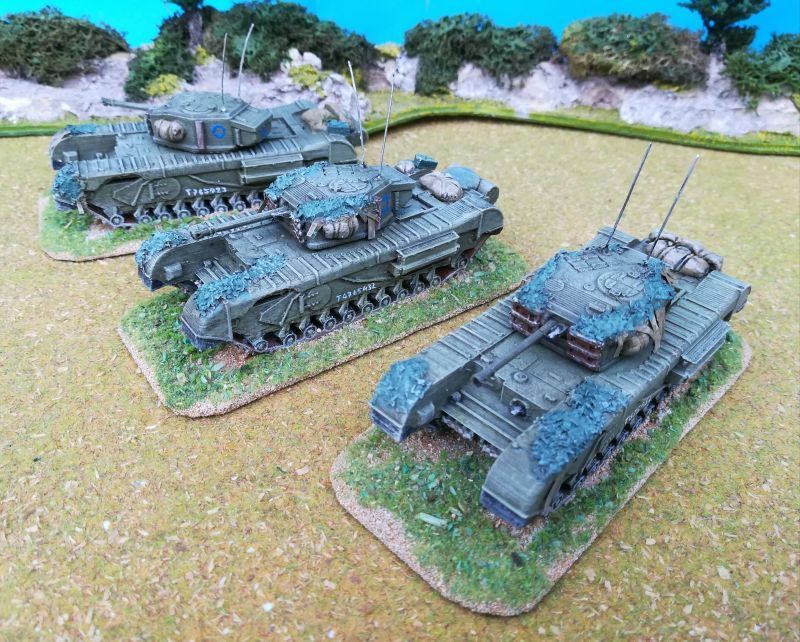 One British WW2 Archer tank destroyer in 20mm or 1:76 scale. One British Bedford QLD cargo truck in 20mm or 1:76 scale. One British Bedford QLT troop carrier in 20mm or 1:76 scale. One British WW2 BL 5.5 inch medium gun in 20mm or 1:76 scale.